This elegant Swiss restaurant embodies detailed flavours and a distinct sense of perfection. Dishes range from cordon bleu and lovely meat grills to refreshing salads and creamy sauces. The desset menu is simple, but very definitely a treat. A range of beverages are on offer - just ask your efficient bow-tied waiter for your heart's desire. 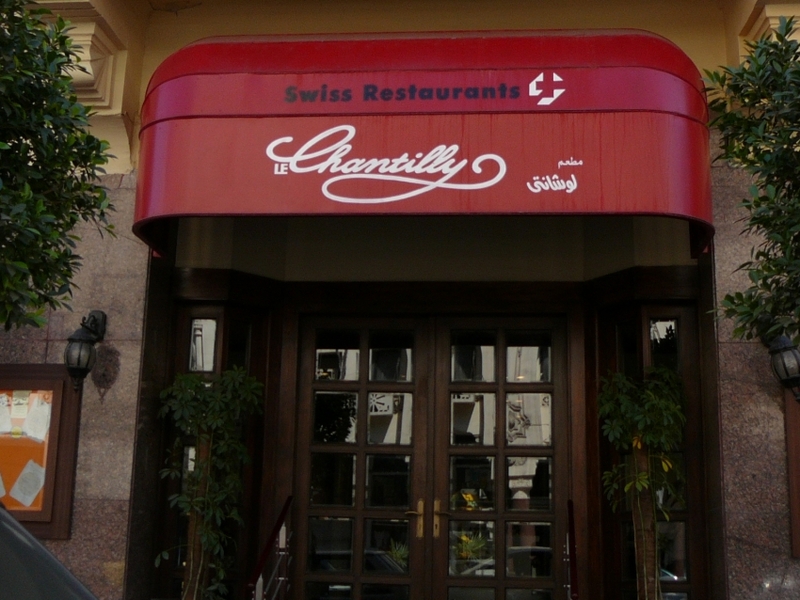 Le Chantilly is 1.7km from the centre of Heliopolis , the nearest airport 2896.1km (Lokichoggio Airport).